Biking is a great way to get from place to place, while also enjoying the fresh air and getting exercise. Unfortunately, it’s also a common way to get injured, especially when you’re sharing the road with motor vehicles. If you like to bike for recreation or as a means of transportation, and you’re injured while riding, what do you need to know? 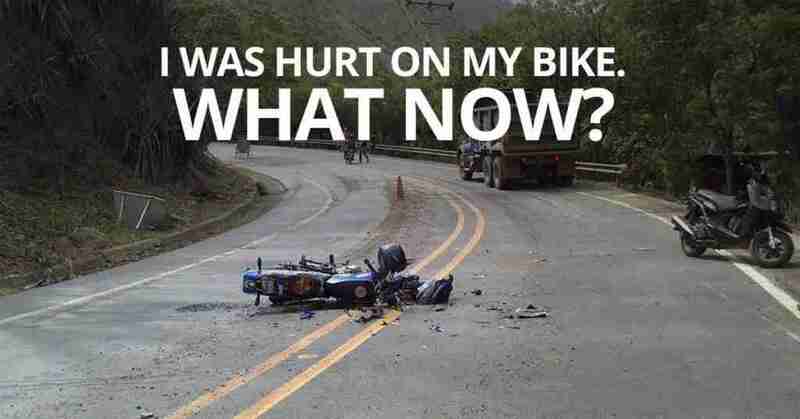 If you’re injured while on your bike, you aren’t alone. According to the National Highway Traffic Safety Administration’s Traffic Safety Facts report, about 45,000 people were injured while riding bikes in 2015, and more than 800 of these accidents proved fatal. What Should You Do after a Bike Accident On Long Island, NY? Depending on the severity of your accident while riding, there are several things you can do immediately following a collision to improve your situation. Begin by seeking medical attention. Even if injuries are not apparent right after the collision, it’s important to see a doctor, preferably in the emergency room. This is important because a medical professional should check you out for unseen injuries, but also because it creates an official record of the incident. It’s also important to file a police report, even if you haven’t suffered any injuries. If possible, contact speaks to police at the scene. If you had to be treated for a medical emergency, ask to speak to an officer and file an official report regarding the accident as soon a possible. Once your immediate medical needs are tended to, you’ll want to begin the process of gathering information. The more you’re able to catalog the better. At the scene, ask to see the registration, drivers’ license, and insurance information of the driver who hit you. Take photos of the accident scene if possible, and write down any details about the event. For instance, was there a light out of order or did the driver run a stop sign? How was the weather at the time of the accident? Were there witnesses? Get their contact information, too, if possible. Additional Notes: Everyone who rides a bike should wear a helmet to protect their head from brain injury. Under NY law, anyone riding a bike under the age of 14 must wear a helmet. Everyone’s head and brain, regardless of age, should be protected by wearing a helmet. Make sure you do not engage in any conversations about who was at fault. You can speak openly and honestly to your lawyer about the incident, but you should not discuss the accident with the driver(s) involved, nor should you elaborate with anything other than the facts when speaking to law enforcement. Anything you say to anyone other than your personal injury attorney can be used against you later, so make sure you do everything you can to protect your rights, even if it means staying silent about the accident.